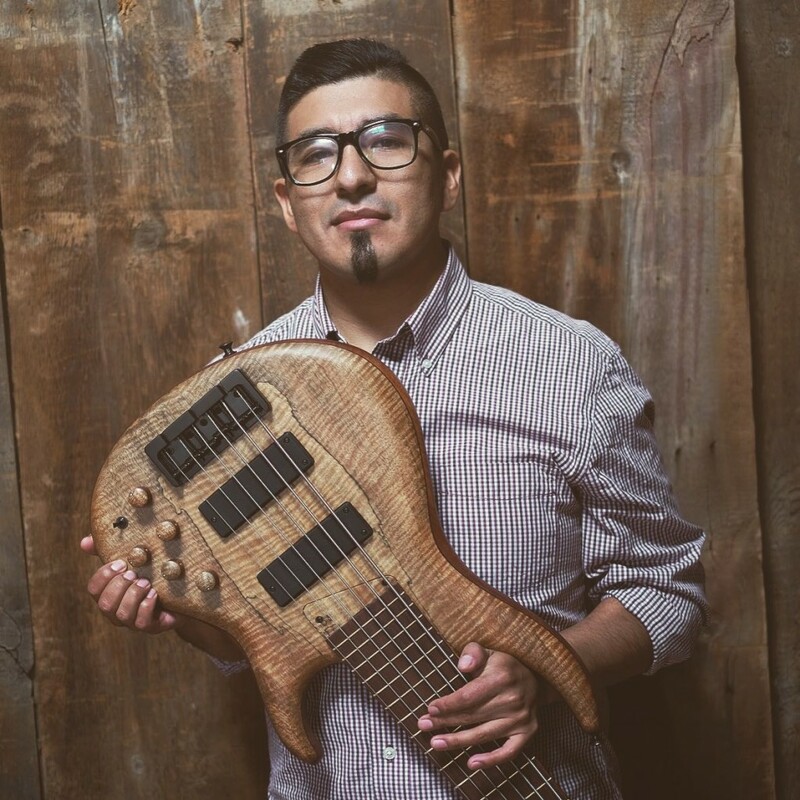 "Only Bartolini pick ups allows my bass to have a brighter and deep sound, I just love it." Blady started to play the bass at the age of 18 in a local Christian Church, after that experience he decided to study music at the National Conservatory of Music where he learned how to play many instruments, but finally returned to his "first love" the bass and double bass. Because of his talent many opportunities arrived and he started to play along with many recognized artists in Bolivia, and also has recorded many albums from a variety of genres. Since the age of 21 he plays at the "Festijazz Bolivia" a very well known Jazz festival. He has had the opportunity to play with international artist such as: Nelson Latif and Bosco Oliveira (guitar-Brazil), Erick Byrd (pianist- USA) and Mike del Ferro (pianist-Netherlands), recording a DVD called "Rhapsody" with Del Ferro. Since 2008 Blady is focused on the production of his jazz-pop band called "Efecto Mandarina". They have recorded 4 albums with great success and recognition. Recently (February 2016) they recorded their 5th album in NYC-USA with Mr. Andrew Gouche as the musical Productor. Since 2014 he is an endorser for MTD KINGSTON and since 2016 he is an endorser for MTD-USA and GruvGear products.